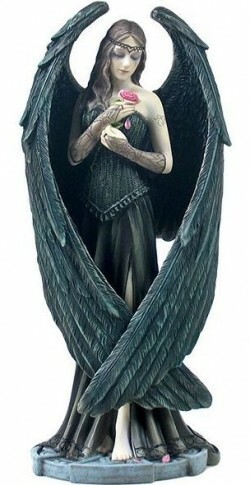 Beautiful gothic angel figurine from the Anne Stokes collection. Arrives in an attractive designer box. Solid display piece. Excellent detail.